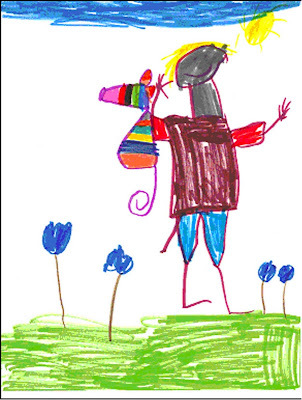 Awful Kids Drawings: The worst, badest, most hideous works of art children have ever made. : Humans have tails? I really just don't know what to say about this picture. However I do know if this is a picture of a real person, I never want to ever meet them.